A generation of young people across the Auckland region have been introduced to the sport of AFL through the Auckland Regional Project, supported by the four Auckland Regional Sporting Trusts. AFL has become established as a participant and spectator sport. Harbour Sport, Sport Waitakere, Counties Manukau Sport and Sport Auckland have all provided funding for the project, which will see more participants playing more sport, and becoming lifelong sporting participants through a sustainable pathway. 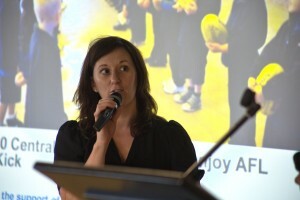 Victoria Barton recieving an AFL New Zealand Community Award on behalf of Sport Auckland. Regional Sporting Trusts have been recognised at AFL New Zealand Community Awards functions, held in 2012 and 2013. Over both years, the work of Sport Waitakere has been recognised with an award, along with awards for Harbour Sport in 2012 and Sport Auckland in 2013. New initiatives with Regional Sporting Trusts, the Play AFL Pathway projects, are already underway and will entrench the strong gains already made during the Auckland Regional Project. The key to the AFL New Zealand Auckland Regional Project has been the development of a sustainable participation pathway among all groups, through a range of innovative measures and project elements. The raw numbers of the Auckland Regional Project are impressive. Over the course of three years, 20519 Primary School students participated in six AFL KiwiKick sessions, learning fundamental movement skills that they will use in all other sports. This was supplemented by 3706 Secondary School participants, who participated in a variety of AFL Secondary School programmes. These programmes include intra and inter-school competitions, Gateway programmes, skill development programmes and leadership and development programmes, and can be tailored to suit the diverse needs of any Secondary School. Over and above participant numbers was the success enjoyed by AFL New Zealand in providing professional development and coaching accreditation to teachers and volunteers. 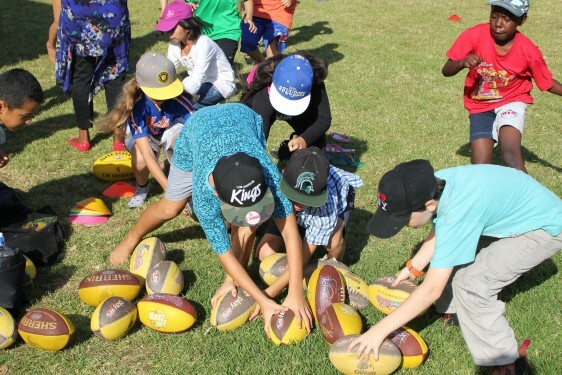 Across the region, there are now 440 registered and accredited AFL KiwiKick coaches directly involved with the Auckland Regional Project, equipped with the skills and resources to deliver sessions of AFL KiwiKick. With the availability of an AFL KiwiKick Resource Kit to participating schools, AFL has become a sport that is played in schools following the conclusion of AFL KiwiKick and AFL Secondary School programme delivery. The most important element of the resource kit is an AFL KiwiKick Coaching manual. This features detailed diagrams of skills, games and lesson plans, providing players, teachers and volunteer coaches with all the information they need for continued participation in AFL. AFL KiwiKick National Development Manager Reg Ranchhod (2nd from left, front) with AFL KiwiKick Coordinators at the 2012 AFL New Zealand Community Awards. The content of AFL KiwiKick sessions is designed to teach the fundamental movement skills of Kick, Catch, Pass and Bounce to all participants. AFL KiwiKick is the ideal programme for meeting the KiwiSport outcomes of more participants playing more sport, as participants in AFL KiwiKick become more confident playing all sports. Both AFL KiwiKick and AFL Secondary School programmes also offer the opportunity for participants to become regular out of school participants in AFL. This occurs in a variety of ways. The first is the 8-week AFL KiwiKick after-school programmes, held at all schools who have participated in AFL KiwiKick. AFL KiwiKick after-school programmes offer participants the opportunity to continue developing their skills, with an increased focus on AFL game-play. Participants are also provided with a ball, bag and hat, to enable continued participation at home. An example of the success of these after-school programmes comes from The Gardens School in Manurewa, where 94 children signed up. This represented 17% of the total school roll. A similar case study comes from Konini Primary School in 2012, where more than 10% of the school roll signed up for after school AFL KiwiKick. Konini Primary School were again involved as 2013, as part of a partnership programme between their school, Green Bay High School, and AFL New Zealand. Siope Ngata of Aorere College, who holds an AFL International Scholarship with the Hawthorn Hawks, with AFL National Secondary School Development Manager Mick Coultard. For both male and female Secondary School participants, opportunities exist to become part of the AFL New Zealand High Performance programme, which can lead to New Zealand representation. 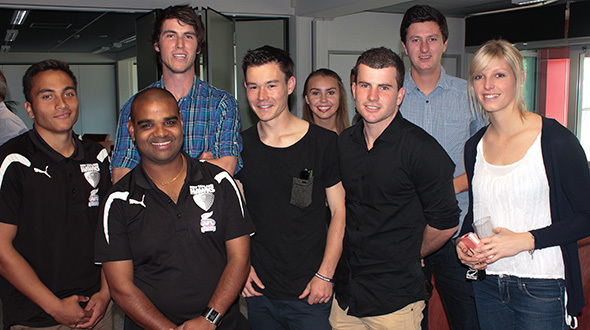 High Performance participants are typically introduced to AFL through Secondary School programmes. Success stories from the High Performance Programme include Siope Ngata and Giovanni Mountain Silbery, who were signed to AFL International Scholarships. 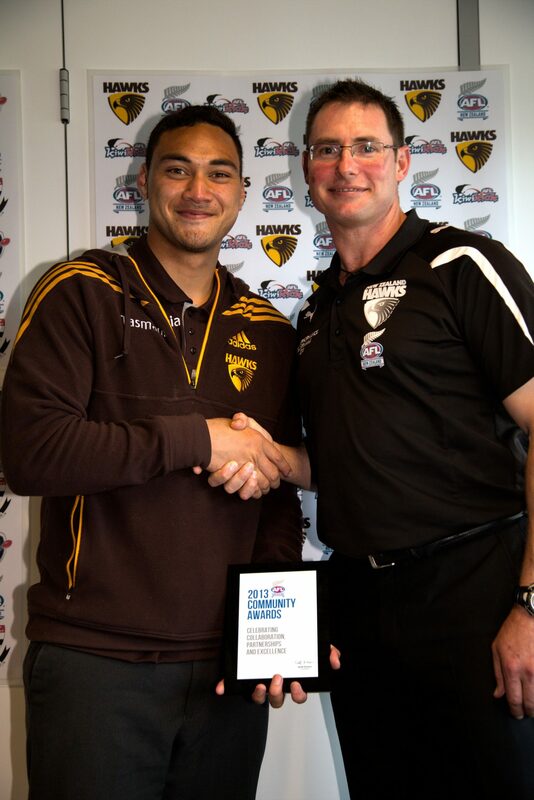 Their participation in AFL began with AFL Secondary School programmes at their school, Aorere College in Papatoetoe. For all participants, regardless of age or ability, Play AFL Clubs are provided over the summer months. Play AFL Clubs offer participants the opportunity to join an AFL KiwiKick or AFL 9s team and play regular matches. Play AFL Clubs are the ideal next step in a participation pathway for those who have participated in schools. 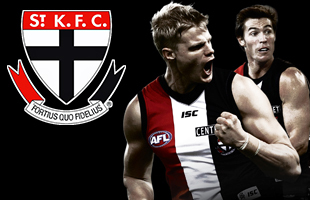 Play AFL Clubs will be opening for 2014 in October. Every region in Auckland is being targeted, with expressions of interest currently being taken. The overall picture of the Auckland Regional Project is one of success, meeting the outcomes of all involved. The continuation of AFL KiwiKick, AFL Secondary School programmes and Play AFL Clubs across Auckland will ensure that progress will continue towards a sustainable pathway with the sport.